Experience The World of Charles and Ray Eames with a Docent as your guide. Discover the innovative husband and wife duo Charles and Ray Eames, two of the most influential designers of the twentieth century. Go beyond their well-known designs in an intimate and inspiring exhibition portraying their legacy and lives in California. 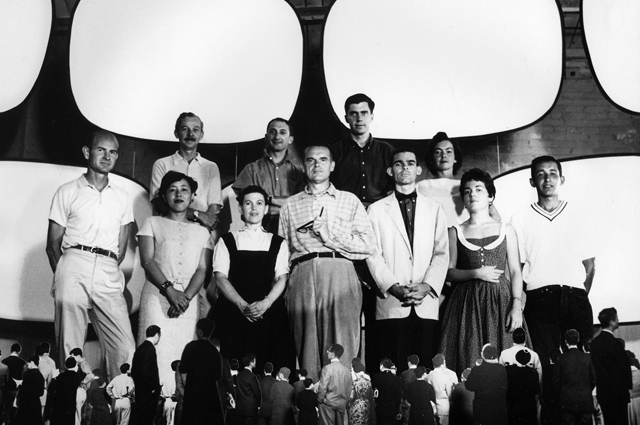 There is an additional $4 charge for special exhibition The World of Charles and Ray Eames. The World of Charles and Ray Eames is curated and organized by Barbican, London, and produced in collaboration with the Eames Office. Paint for the exhibition is generously provided by Farrow & Ball.